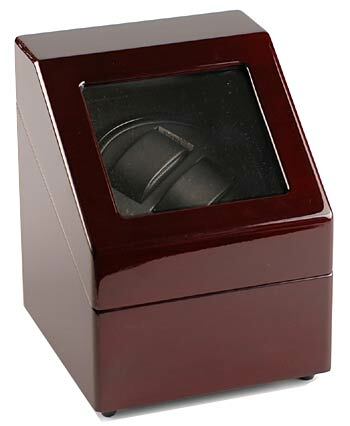 Inexpensive single cushion automatic watch winder. Power adapter included. Can be battery operated. 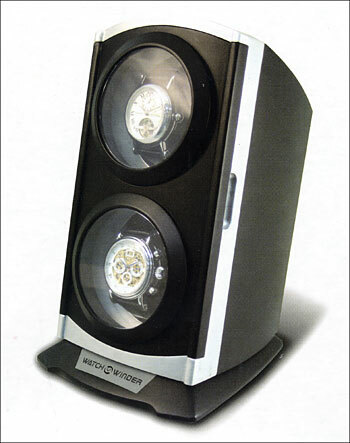 Inexpensive double cushion automatic watch winder. Power adapter included. Can be battery operated. 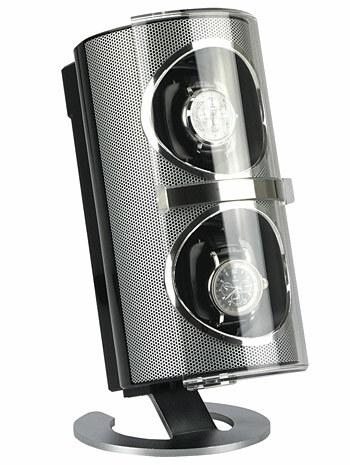 Watch winder for 2 watches. Noiseless, reliable and has a modern design with large transparent lid. Winds clockwise, auto (bi-directional) and counter-clockwise. AC adapter included. Mode A: Rotates for 33 seconds and rests for 12 minutes. Mode B: Rotates for 10 minutes and rests for 90 minutes. 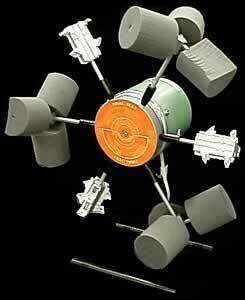 Mode C: Rotates for 30 minutes and rests for 3 hours. Mode D: Rotates for 1 hour and rests for 3 hours. Dimensions: 141 x 192 x 243mm. Mode A: 650 Turns Per Day, 13 cycles, each cycle turns 50 times then rests. Each cycle takes 110 minutes. Mode B: 900 Turns Per Day, 18 cycles, each cycle turns 50 times then rests. Each cycle takes 80 minutes. Mode C: 1200 Turns Per Day, 24 cycles, each cycle turns 50 times then rests. Each cycle takes 60 minutes. Mode D: 1500 Turns Per Day, 30 cycles, each cycle turns 50 times then rests. Each cycle lasts 48 minutes. Dimensions: 135(W) x 289(H) x 225(D) mm. This new and improved Final Test is great for testing watch working and automatic winding for Bi-directional winding rotors. New synthetic foam heads and the elastic fastener helps secure watches better and won't scratch watches as easily. Can secure watches with or without strap. Runs at 1 rpm. 115 volt. This new and improved Automatic Test is great for testing watch working and automatic winding for unidirectional winding rotors. New synthetic foam heads and the elastic fastener helps secure watches better and won't scratch watches as easily. Can secure watches with or without strap. Runs at 4 rpm. 115 volt. The 1 R.P.M. Reglomat holds up to 18 watches, 9 with straps and 9 without straps. For positional testing of quartz and mechanical watches. 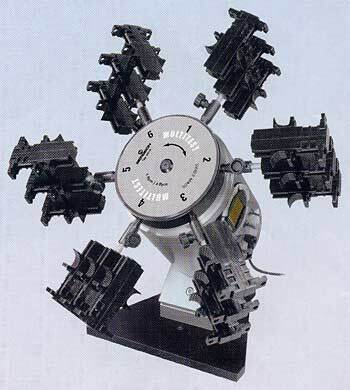 For winding of automatic watches, which have rotors which wind in both directions. Single dicrection winding rotors should use the Cyclotest. The 4 R.P.M. Cyclotest holds up to 18 watches, 9 with straps and 9 without straps. 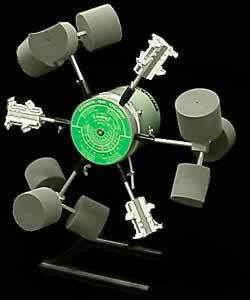 For winding of automatic watches, which have rotors which wind in one direction. 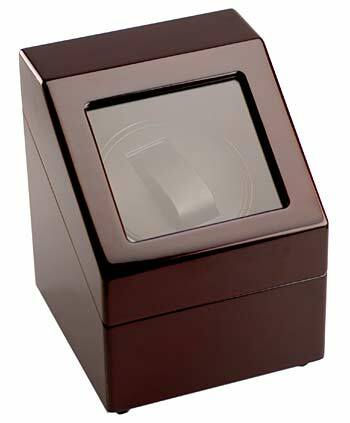 Power adapter for watch winder WTB1455 models. New tester made to handle heavy watches and to last for years to come. 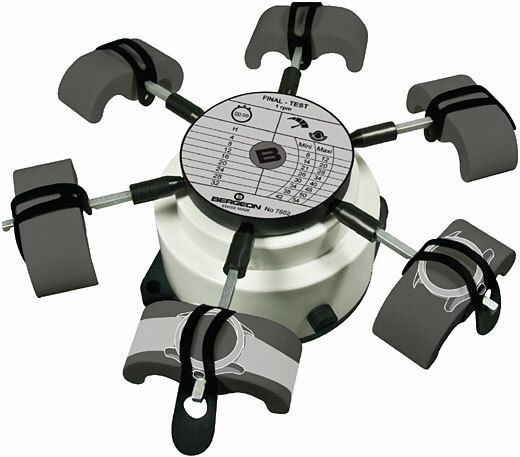 This tester can work at both rotating speeds of 1 and 4 R.P.M and direction inversion with manual switches. 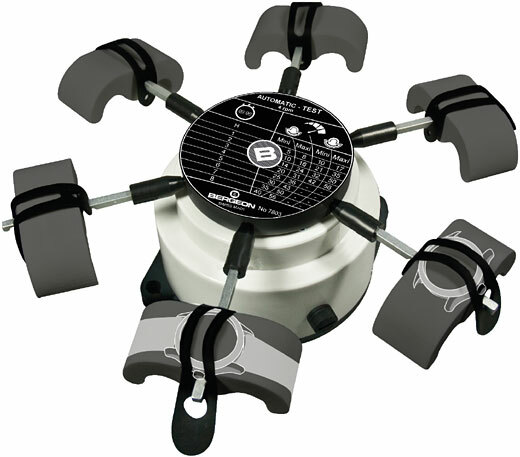 This system is well equipped with 6 adjustable arms and different support types. The Multitest holds up to 36 watches, with and without bracelets. A anti-tilting system assures the immediate stop in case of destabilisation of the machine. It is recommended to balance the weight of the watches on the machine. Arm's adjustment diameter at 6 mm. Size: 360 x 420 x 200 mm or 14 1/8 x 16 1/2 x 7 15/16 inches. Power through 12 V transformer provided with adaptable plug for 115 and 230 V nets. A total flop by Bergeon, introduced at a Basel Fair as the newest greatest product, however never could get them made or perhaps work right. Delivery was always pushed back, and now Discontinued before then could deliver a single one!